Back in my article in the Delray Newspaper titled “Get BACK in Shape”, I alluded to strengthening the muscle called the transverse abdominis (TVA). One excellent exercise to do that is the plank, which Eric Heger has done a great series on. Another exercise that I feel is extremely effective and possibly the most under rated is called the Dead Bug. 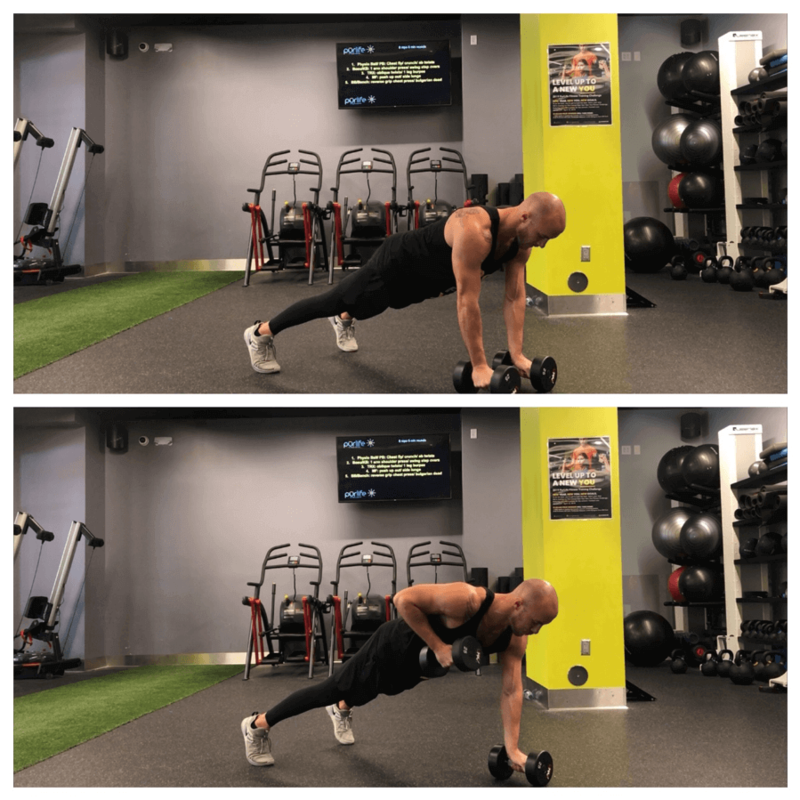 Just like the plank, this is a core stabilization drill that requires no spinal flexion, making it another safe alternative for any fitness level. 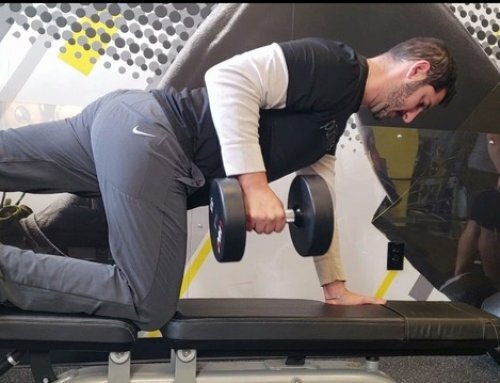 Numerous variations of this exercise exist with both progressions and regressions. The standard dead bug position has you begin laying flat on your back with your head up against a solid object such as a wall. Your feet should also begin flat on the floor or mat. 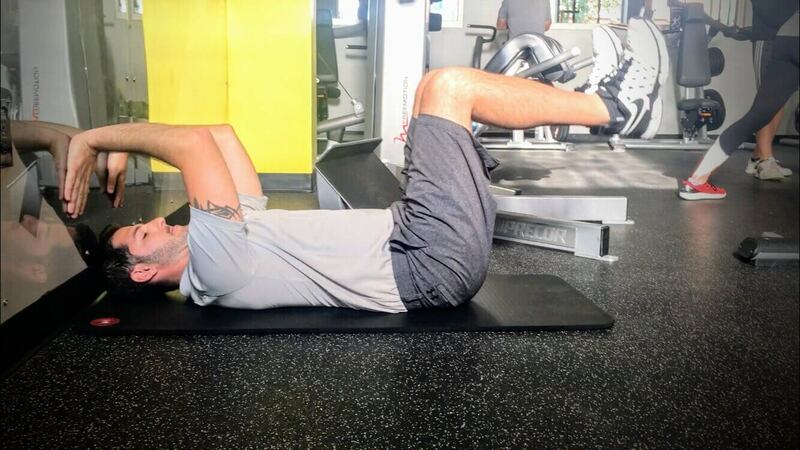 Start by placing your hands on the wall, fingers pointing down and as you add pressure on the wall, you will naturally begin contracting your abdominals. 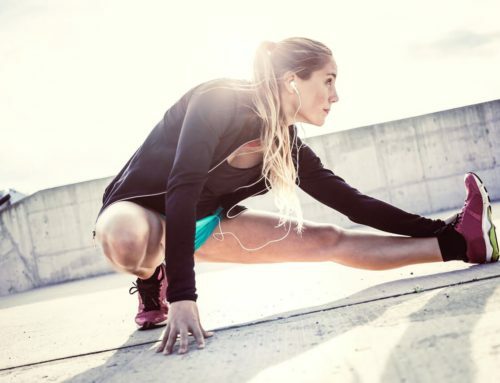 Once you feel the tightening sensation in your core, lift your legs up off the ground, stacking your knee directly above your hips, forming a right angle with your torso. This movement may cause your body to start to create a space in your lower back, do NOT allow this to happen. Deepen your abdominals towards your spine and imagine the space underneath your back disappearing. Some people find it helpful to picture something is in that space that needs to be crushed. 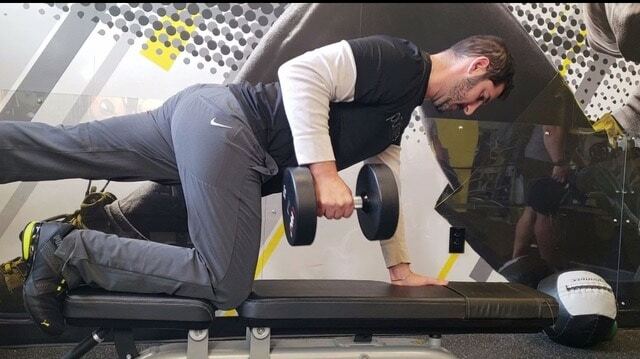 This will create a natural curve in your back called neutral spine and is the key to performing this exercise correctly and safely. Do not hold your breath while in this position. Utilize deep forceful exhales where your goal is to empty your lungs completely before taking another breath. I would advise practicing this starting position several times before moving on to the 2nd part of the exercise. Once you feel comfortable owning this position with neutral spine alignment, try testing the waters for roughly 45 seconds. Take a break and evaluate how you feel. Was that challenging? If so, stick with step 1. If not, it’s time to explore the movement aspect of the exercise. Begin by going back into your proper starting position. 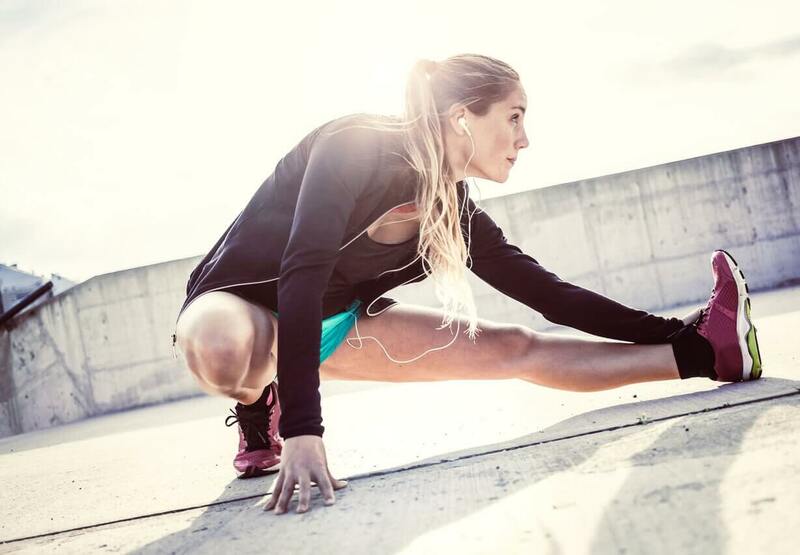 Slowly start to straighten your right leg down towards the floor, challenging yourself to maintain proper alignment (This also means not moving your left leg). Your breath work should be synchronized with your bodies motion, exhaling as you fully extend the leg, trying to empty your lungs, just as you practiced in step 1. Hold for a count of 3 and slowly bring your leg back into your 90-degree starting position. Make any appropriate adjustments here, such as rediscovering neutral spine if necessary. Remember, this exercise is about control, not about speed. Start with 2 sets of 10 alternating repetitions and progress from there. This is a great exercise to weave into your routine as a warmup, a cool down, or part of a larger circuit. Give it a try and be sure to check back for Part 2 of the Most Under Rated Core Exercise Of All Time!